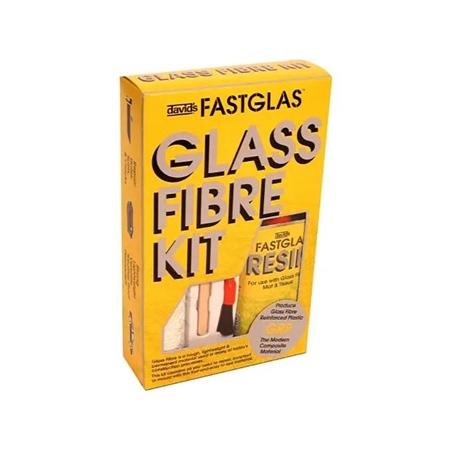 This Davids Fastglas Glass Fibre Kit is a polyester resin kit which contains resin, hardener, glass fibre, mixing cup and protective gloves. It has been formulated specifically for the repair of holes, cracks and tears in metal, wood, hard plastics, and bricks. This small kit contains 250ml opaque polyester laminating resin, a glass fibre matting sheet measuring 25 x 110cm, 1 x mixing stick, measuring / mixing cup, protective gloves, ½" brush, 10g red BPO paste hardener sachet and detailed instructions. Also available in a large pack.